We offers the best collection of Tiger Eye Orgone Obelisk Point. 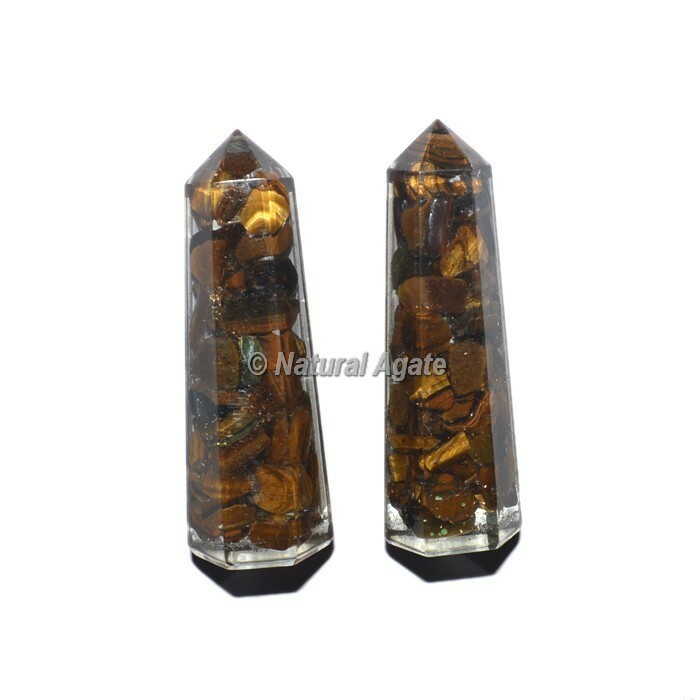 Tiger's eye settles disposition swings, instills us with determination, reason, boldness and fearlessness.Particularly helpful for recuperating psychosomatic ailments, dissipating trepidation and anxiety. This amazing obselik point is available in bulk quantity. Place the order as soon as possible.